How Can Facebook Help a Small Scale Business? This question was asked by one of our readers/ a small business owner who wants to know how social media like Facebook can boost a small scale business or small scale businesses. Facebook has really helped many businesses especially small scale business which i believe it has gotten so much advantages from Facebook. Facebook has helped small scale businesses to compete with other big time companies/businesses on the internet especially in the area of popularity and advertising. 1. Free advertisement : Facebook has provided an avenue for small business owners to advertise their business on the internet for free. This is done by sharing links of business site, uploading photos of products/services and direct business deals/selling to customers through Facebook chat or video call. Even if its paid, Facebook charges as little as few cent or $1 per adverts per day which i believe is good for small scale business. 2. Good Online customer Services: The biggest social networks called Facebook now connects, customers, visitors etc with business owners easily online. Through Facebook, a buyer or seller can interacts based on business or you can also get free feed back from people about your business through by integrating a Facebook page, link or profile. What seems to be a paid method now becomes a free service through Facebook. This will ensure an improved services, quality and customer satisfaction can be achieved freely through Facebook. 3. Business transactions: Facebook now allow it users to transact business with each other through their site at any time. A small scale business owner may not need to go extra mile to do business online with other people but Facebook has made it easier for any body to do business online at anytime, you can easily make a deal with potential customers. 4. 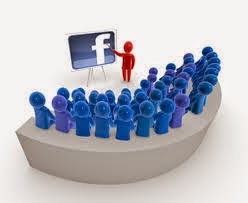 New Customers: Facebook advertising, Facebook groups, Facebook page all are very wonderful programs because it makes it easy for small business owners to attract new customers to their products. People can easily see your business or products through this additional advertising means which i believe is good for small business. The invention of Facebook has really helped small scale business and has also boost sales/morale of small scale businesses. Some small businesses have seen considerable growth through Facebook for their business while other have gotten good connections through Facebook. If you have a small scale business then try this Facebook methos to boost your small scale business.